Track Club – What Has It Meant Being A EOYDC Track Club Member? “When I first came here in high school, I had no idea I’d be able to do what I’m doing right now. This place is like a family. I’ve gained great life experience here – how to endure, how to keep going even when it hurts or when I didn’t want to. I’ve gotten a tremendous amount from it”. “The words ‘I can’t’ aren’t here. People come here with dreams and goals, and they reach those dreams. That positive influence has helped me a lot. Now I’m not afraid to ask for or work for what I want”. “It’s taught me discipline and responsibility. It’s taught me how hard I’ll have to work in the real world, how to train smart so I don’t ruin my legs, how to be supportive of my teammates. Basically, the program here is for athletes who want to be champions”. “As a testament to Curtis’ far reaching contribution to community, both public an private school track athletes learn athletic and life strategies. Curtis inspired me to seek my academic and collegiate athletic career. Currently a U.C. Berkeley student, I sustain myself in the guidance Curtis continues to provide me. My motivation and strong work ethic is owed to his track coaching philosophies. Curtis’ track program enhances extraordinary athletes and demonstrates track and field as a life changing experience”. “Track at EOYDC was looked at as a way to get to college, and I feel like my academics are stronger. I plan to be a surgeon. Track taught me discipline that I use in school. Practice requires a commitment, and I apply that to studying every day. So, when I feel like I have given 100 percent, I dig down to get 110 percent. I stay connected with EOYDC as an adult for the same reason I was lured to track. EOYDC is like home and is always there for me”. 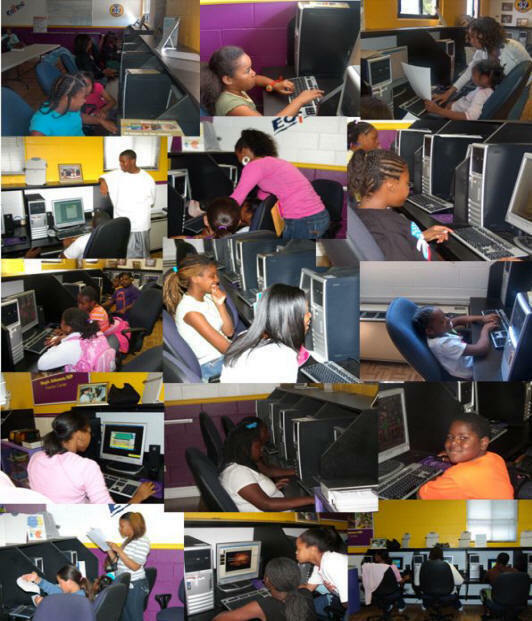 “The EOYDC club is not only a program where I ran, but it taught me numerous valuable lessons: being on time, attending practice five days a week about 49 weeks out of the year, exerting 110 percent effort in practice and reaping the benefits of it, cooperation, communication and many more skills that will help me in the professional world. Track was so tough that now I approach everything with more confidence and poise because I know that if I can get through the EOYDC track program, I can do anything”. “When I relocated from Washington DC to Oakland I was a couple of years out of undergraduate school and I was still training for the 2000 Olympics. EOYDC was a great place for me to ask questions about my life and get some answers. Although I was only there for a year, my time at EOYDC is the reason I went to graduate school. Service is something I feel like we should all do in life. It is fun and fulfilling, and that was confirmed by my time at EOYDC. Whatever I do, my focus will be on helping people make healthy choices to live a better life”. “I got into track early on. The first thing that Coach Curtis told me was that he wanted to get us into college. Coach Curtis and Ms. Regina are the best of mentors. They don’t just show you new doors, they walk through them with you. And if you make a mistake they stick with you when you need to change courses. 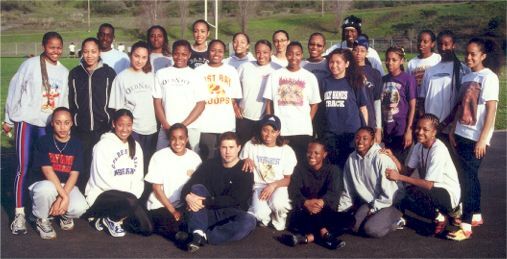 Now, I am head track coach at Mc Clymonds. I don’t wear a badge that says I grew up in East Oakland, so a lot of people ask me why I’m involved with the Center and why would I work at Mc Clymonds, I can’t solve everything myself but I want to give the same opportunities that I got from EOYDC free of charge. When I tell someone they will be able to run faster and jump higher, they sometimes doubt it, But when they meet those goals, the doubt goes away and they begin to challenge other doubts they might have about academics, relationship or life. When I told my professors that after I finish earning my Ph.D. I still plan to work with youth at a non profit , they threw up their hands at the thought I wouldn’t be a professor or write a book. But I’m more interested in being where changes are happening so I told them that I plan to be the one who gives them something to write about”. “I never thought of attending college until I came to EOYDC. EOYDC changed my life because I was able to do something constructive with my life instead of running around on the streets. I earned an academic and track scholarship to UCLA so my family didn’t have to pay anything. I felt like I was breaking some chains that kept my family out of college. Now I’m a role model for my siblings and cousins who are looking at going to college. Now that I’m done with college, I’m coming back home to my family and my EOYDC family. Even though I have been away at college they have never forgotten about me. Coach Curtis came to my track meets even when I was in college and Ms. Regina came to my graduation. Things like this let me know I am loved. I am blessed that I was able to be a part of EOYDC”.